We at Bible Baptist Church are interested in your spiritual welfare. Our purpose is to minister spiritually to those desiring knowledge about salvation in the Lord Jesus Christ and about the truth of Scripture. But he that believeth not is condemned already, because he hath not believed in the name of the only begotten Son of God (Jn. 3:18). I tell you, Nay: but, except ye repent, ye shall all likewise perish (Lk. 13:3). For whosoever shall call upon the name of the Lord shall be saved (Rom. 10:13). How that Christ died for our sins according to the Scriptures; and that He was buried, and that He rose again the third day (I Cor. 15:4-5). For God so loved the world, that He gave his only begotten Son, that whosoever believeth in Him should not perish, but have everlasting life (Jn. 3:16). If you are saved, you need to receive biblical baptism by immersion into a New Testament assembly of baptized believers. 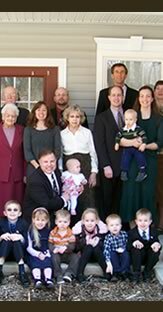 Bible Baptist Church of Cromwell, Ct is one such church. Once you receive Christ as your Saviour and are scripturally baptized into a NT church, you will begin to grow in the Bible and enjoy fellowship with others saints of like faith, supporting the ministry of carrying out the Great Commission. Go ye therefore, and teach all nations, baptizing them in the name of the Father, and of the Son, and of the Holy Ghost (Mt. 28:19). Then they that gladly received his word were baptized, and the same day there added unto them about three thousand souls (Acts 2:41). See, here is water; what doth hinder me to be baptized? And Philip said, If thou believest with all thine heart, thou mayest (Acts 8:36-37). Buried with him in baptism, wherein also ye are risen with him through the faith of the operation of God (Col. 2:12). 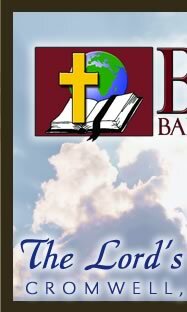 If you are interested in becoming a Christian, receiving Baptism, and joining Bible Baptist Church, please contact us.